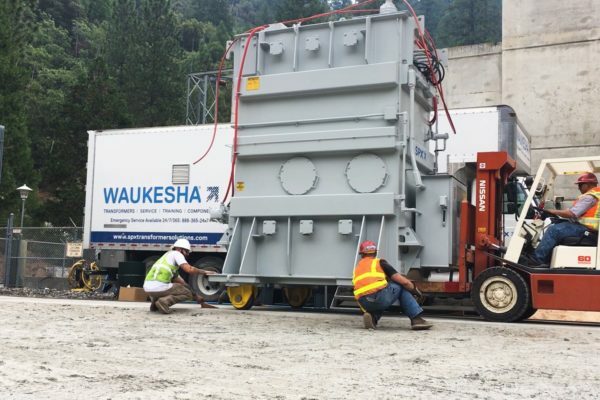 About SPX & The Waukesha® Brand | SPX Transformer Solutions, Inc.
Waukesha® transformers, service and components are synonymous with quality and reliability. For over 50 years, the company has invested in research, technology, new product design, engineering expertise, and plant and field service equipment, while remaining focused on improving industry standards and leading innovations to meet the evolving needs of its customers. Recognized as one of the largest U.S. manufacturers of power transformers from 5 to 1200 MVA, up to 345kV, the company designs, builds and tests its transformers according to IEEE, ANSI, NEMA and ISO 9001:2015 technical and quality standards. The company provides complete transformer service solutions and components that consistently receive high customer satisfaction ratings. The Service Group’s capabilities include installation, oil processing, field testing, engineering assessments, retrofits and repairs for Waukesha® transformers and other competitively branded products. The Components Group offers load tap changer failure analysis, reverse engineering and a variety of manufacturers’ load tap changer (LTC) replacement parts, Transformer Health Products® and comprehensive LTC maintenance courses for all skill levels. We employ approximately 1,000 people throughout the United States and operate manufacturing facilities at our headquarters location in Waukesha, Wisconsin, as well as Goldsboro, North Carolina, and Dallas, Texas. SPX Transformer Solutions designs, manufactures and tests a complete line of medium and large power liquid-filled transformers top rated from 5 to 1200 MVA, with primary voltages through 345kV. 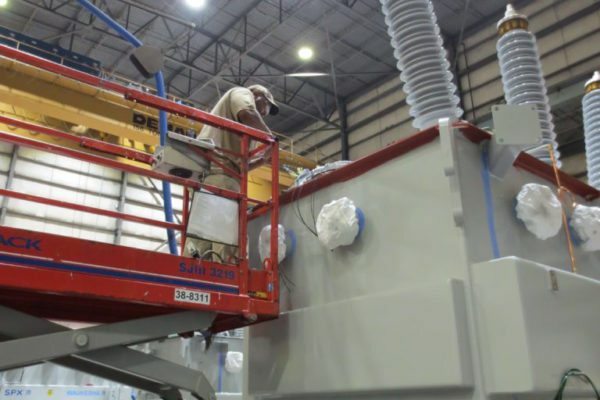 Our modern transformer manufacturing operations utilize sophisticated computer-controlled equipment and test systems, complemented by a well-trained, experienced work force to produce high quality power transformers that meet stringent customer demands. SPX Transformer Solutions also has one of the shortest production cycles in the industry, which allows the company to respond quickly to customer delivery and installation requirements. Originally opened in 1970, the Waukesha facility’s capabilities have evolved through two significant expansions. In 2001, SPX Transformer Solutions added a large power transformer line to increase capabilities to produce units with ratings up to 200 MVA. To meet growing industry needs, a 144,000 square foot expansion was completed in 2012 that enables the manufacturing of units with a power rating up to 1200 MVA and testing capabilities up to 500,000 volts. SPX Transformer Solutions’ Goldsboro transformer manufacturing plant contains state-of-the-art manufacturing and computerized scheduling systems that enable production of medium power transformers that meet the highest industry standards. The engineering team, using 3-D computer-aided design tools, develops innovative designs that meet changing utility and industrial product needs. SPX Transformer Solutions can provide complete transformer service solutions for almost any manufacturer’s units including installation, relocation, testing and engineering assessments; oil processing, dryouts and retrofills; corrective and preventative maintenance; load tap changer field retrofits and repairs. With a growing number of mobile vacuum oil purification units, several pieces of auxiliary equipment and semi tractor/crane combination vehicles, the Waukesha® Service team maintains one of the largest fleets of specialized transformer service equipment in the United States. This large, modern equipment base along with our vast number of skilled personnel located strategically across the country, allow us greater flexibility, faster response times, reduced installation hours and lower costs while helping us provide efficient, safe and high quality service to our customers. SPX Transformer Solutions’ Components Group operates a 33,000 square foot manufacturing, testing and training facility in Dallas, Texas, as a leading manufacturer and supplier of components for most major current and obsolete load tap changer (LTC) and oil circuit breaker brands as well as being the original manufacturer of a line of Transformer Health Products®. Additionally, we offer a variety of LTC services including maintenance training, failure analysis reporting and complete overhauls at this location. By demonstrating a continued commitment to utilizing new materials and technologies to fuel the development of new products and solutions, the Waukesha® Components team has also built a strong reputation as an industry leader in reverse engineering and design enhancement. Comprehensive training classes for today’s engineering and technical field personnel also take place at our Dallas facility. By taking a hands-on approach, our customers experience technical procedures, practices and problem-solving techniques on the actual equipment they will later encounter in the field. We strive to keep a correct balance between classroom studies and hands-on interactive activities, to understand the why as well as the how, to build confidence and expertise in the students that are entrusted to us. Rich history spanning more than 50 years is rooted firmly in the power industry. Decades of focus on technical expertise, top-of-the-line plant and field service equipment and industry leadership to meet the evolving needs of our customers.